How Much Should a Wedding DJ Cost? When hiring a wedding DJ, it is well-known in the DJ industry that, “You get what you pay for.” Therefore, the quality of goods and services and the time spent on making the product is reflective in the price. Take, for instance, a brand new Honda Civic vehicle and a Brand new Mercedes Benz. The Mercedes Benz is more distinguished, durable and elegant than a Honda Civic. Hence, you pay more for the Mercedes Benz because you get a more memorable, classy, and pleasant experience from driving a Mercedes Benz than a Honda Civics. The creation of The Mercedes Benz was made with a particular individual in mind. That individual has a high-quality taste and an appreciation for time spent to provide them with the best experience possible while driving one of these luxury cars. While the Honda Civics is suitable for some people who sometimes do not value a high-quality vehicle, almost everyone wishes they could afford a luxury car, similar to the Mercedes Benz. WOULD YOU RATHER YOUR DJ PROVIDE A MERCEDES BENZ LIKE SERVICE OR A HONDA LIKE SERVICES? WOULD YOU RATHER YOUR WEDDING DJ PROVIDE YOU WITH A HONDA CHEAP SERVICE ON ONE OF THE MOST IMPORTANT DAY OF YOUR LIFE? Accordingly, hiring a Wedding DJ is the same concept as buying a vehicle. 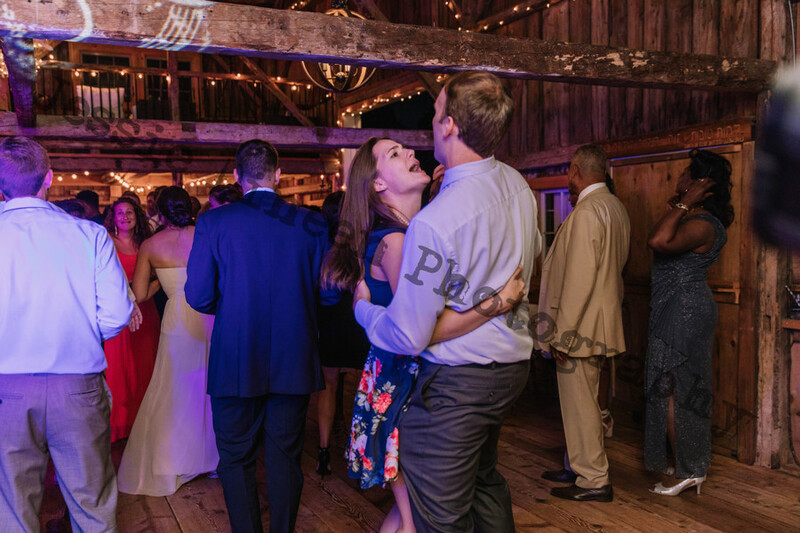 In this article, I am going to run over the various types of Wedding DJs and the reasons for the fees that they charge and why they charge these fees and what the fees suggest about the specific wedding DJ. Let’s start with the Wedding “DJs” that will agree to any price you, the customer require, these are the guys that when you ask for their fees they will answer: “how much do have,” with these guys if you say $100, they will agree to do your wedding, if you say 50$ they will accept that price. These guys are not DJs, we call them, stereo controllers. Hiring a stereo controller for your wedding DJ is highly dangerous and can turn your special day into a sour, bitter day. The stereo controllers are killing the DJ business because the DJ industry can be easy to infiltrate. These stereo controllers can wreck your wedding, and you should be careful hiring one of them. The stereo controllers are risky and come with no assured experience like a professional wedding DJ. They usually charge anywhere from $50-$700 for a wedding. But, remember you can always talk down a stereo controller to any price you chose, but be prepared for a crappy wedding DJ. Please avoid a stereo controller posing as a DJ. THERE IS A REASON WHY THE STEREO CONTROLLER MASKING AS DJ IS CHEAP. STEREO CONTROLLER MASKING AS WEDDING DJ HAS NO RESPECT FOR PRESENTATION AND NEATNESS. The next Wedding DJ to avoid is the amateur Wedding DJ. One way to identify the amateur Wedding DJ is the DJs that charged by the hour. These guys are just getting knowledge of the DJ industry and bought some cheap pieces of equipment off of Amazon. They might have been in the industry for say two to three years on and off. However, because they are good at selecting music from Spotify, they think that they would be a great DJ. This means that if you ask them their price they will say 100$ an hour or some might charge 200$ an hour which will usually turn out to be from about 800$ to 1200$. This type of pricing for DJing a wedding shows up the amateur wedding DJ qualification and value. I say this to mean that, these DJs hardly take the time to plan your wedding carefully, they think that your wedding is a show-up and play the gig. These DJs usually do minimal or no planning before the wedding. So, in these DJs mind, the job starts at the wedding. It is just like an amateur to go to the game or show up to the field without practicing and preparing. THE AMATEUR WEDDING DJ HAS A SLOPPY PRESENTATION. Most Professional DJs take hours of meticulous planning and planning to tailor the music for their client’s wedding. This planning is even before they play the first minute at the wedding. Professional DJs can take from 7-9 hours preparing and planning for a client’s wedding. This planning and designing exclude the consultation meeting or meetings with the couple. Professional Wedding DJs produced multiple playlists for different scenarios. For Professional DJs each wedding is different; each wedding event takes specific and unique planning. By the time a Professional Wedding DJ is finish planning for a wedding, they end up spending over 20 hours preparing before they even start playing at the actual wedding. Most of these hours are spaced out with a couple of hours there, planning and organizing the music with a couple of hours here, planning and organizing the music. I know I checked the hours I spent preparing for my wedding last week. Professional wedding DJ does not charge by the hour but rather by the event. They value their brand, and so they provide quality service because they take lots of time to make sure that the couple’s music that is set for their wedding is carefully and uniquely. A Professional wedding DJ then usually charges anywhere from $3000 to $30,000 per wedding event. These DJ will make people talk about your wedding even a year or two afterward. They will still be talking about how much fun they had at your wedding. A Professional Wedding DJ Set-Up is Clean and Elegant. 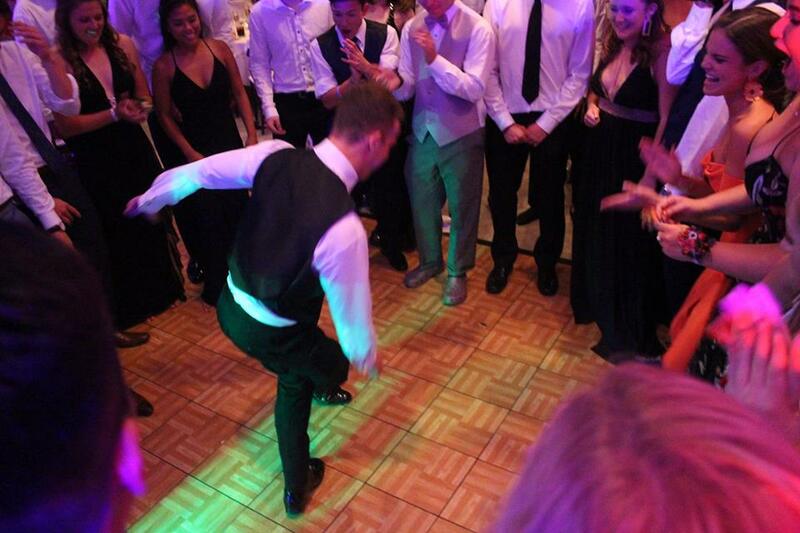 A Professional Wedding DJ Make You Dance. 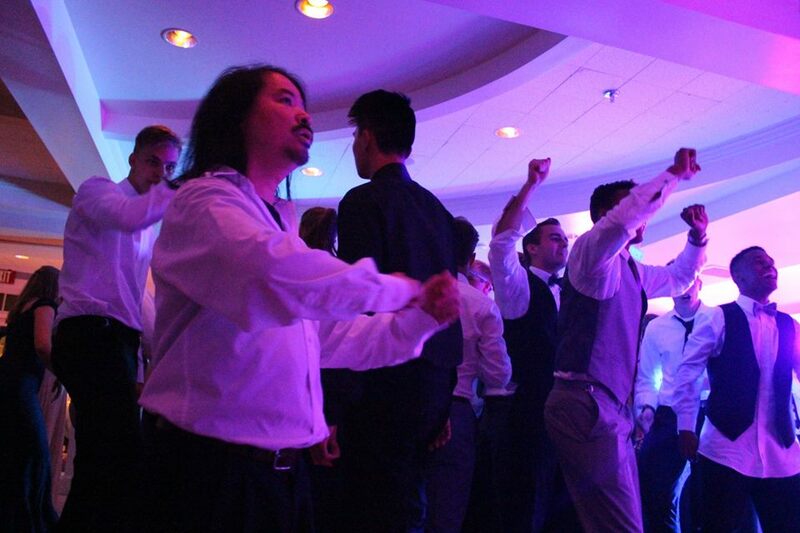 With Meticulous Preparation, Professional Wedding DJs Knows How to Pack The Dance Floor. How much should a wedding DJ cost? Well, it depends on how much you value your wedding. I have done over 1500 weddings and the phrase, “you get what you pay for” has never been more accurate when it comes to pricing for a wedding DJ. If you need a stereo turner acting as a DJ at your wedding, you can pay whatever price you wish, from anywhere between $100$-$800 sometimes. This person is not really a DJ and is sometimes desperate for money and does not value the craft of DJing, but instead is just playing music to play music. 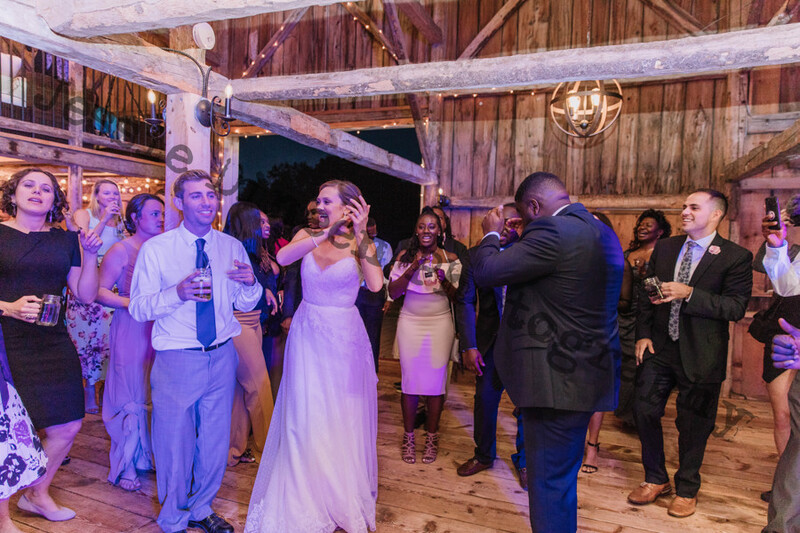 If you are looking for someone who is inconsistent and might or might not have people on the dance floor at your wedding or might show up at your wedding late, or does not have a steady and effective plan for your wedding then hire an amateur DJ. The amateur wedding DJs are a dime a dozen these days and are usually the ones that charged by the hour and not by the event. This is because they hardly take time outside of the wedding to plan for the wedding. They do not value the art of preparation and organization; they do not individualize your wedding, and will usually use the same music set for every wedding. The amateur wedding DJ lacks preparedness in his presentation to his clients. On the other hand, if you are looking for a wedding DJ who values your wedding and spends hours of meticulous planning on perfecting the music for your wedding, preparing for any scenario, while valuing the individuality and uniqueness of your wedding event. If you want your wedding to be amazing and memorable, then hire a Professional Wedding DJ. These wedding DJs are the Mercedes Benz in the DJ world. If you value your wedding experience and your guest’s enjoyment and happiness at your wedding, then you should hire a professional wedding DJ. A PROFESSIONAL WEDDING DJ SET UP IS INCREDIBLE AND SIMPLE NOT OVER BEARING. 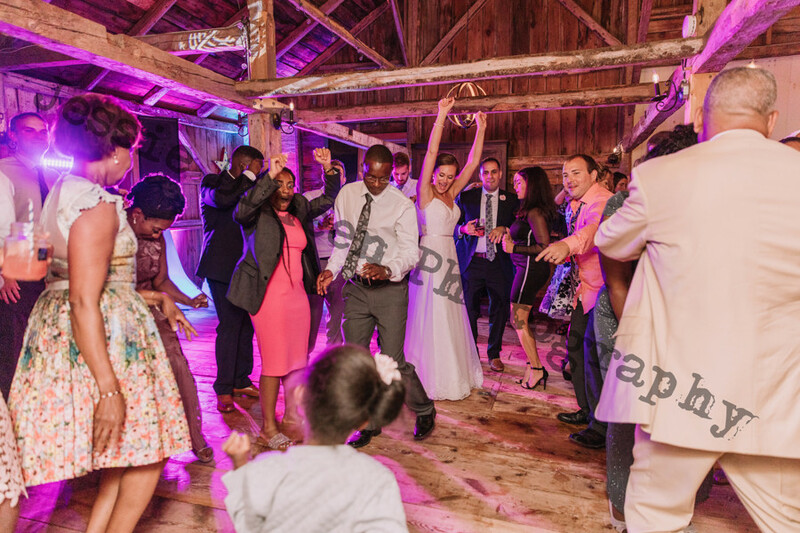 DJ Shamar is a professional wedding DJ located in the state of New Hampshire. DJ Shamar services are center in New Hampshire, Maine, Vermont, and, Massachusetts. 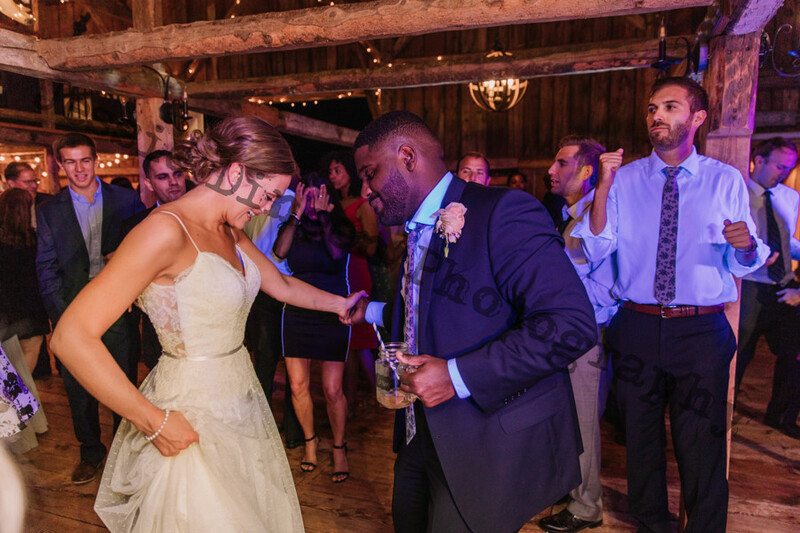 One of the characteristics that I admire most about DJ Shamar is although he played over 800 weddings and have been in the industry for more than twenty years, he still spends a considerable amount of time preparing for each wedding. He pays attention to the client’s need and values their say. He is meticulous and takes his preparations for weddings extremely serious. DJ SHAMAR IS A PROFESSIONAL WEDDING DJ THAT WILL MAKE YOU AND YOUR GUESS HAVE A MEMORABLE WEDDING. DJ Shamar is genuinely a professional DJ, who loves his clients and loves what he does. His prices range from $2500-$6000 per event. For celebrity weddings, his prices go from $15,000 –$30,000 per event. 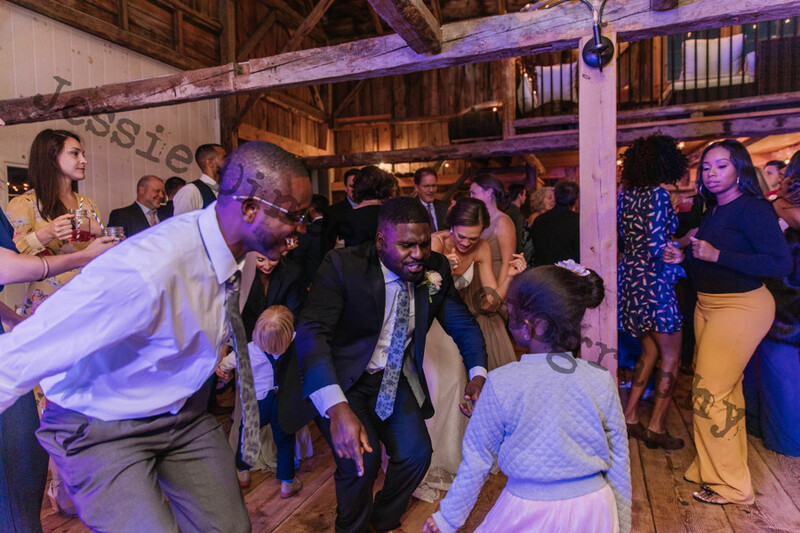 From all the wedding DJs I have observed in the state of New Hampshire, it is my humble opinion that DJ Shamar is by far the best wedding DJ in the state. 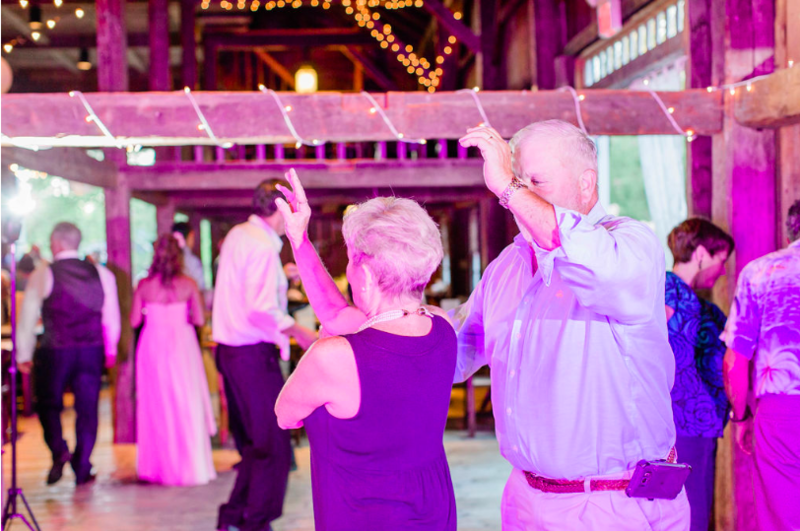 Versatile, perceptive, and crowd-pleasing, he is undoubtedly going to have people dancing at your wedding. DJ Shamar will have your wedding event as one of the most memorable events for your friends and family. I fully endorse DJ Shamar. She said, “you were recommended to me on Facebook. 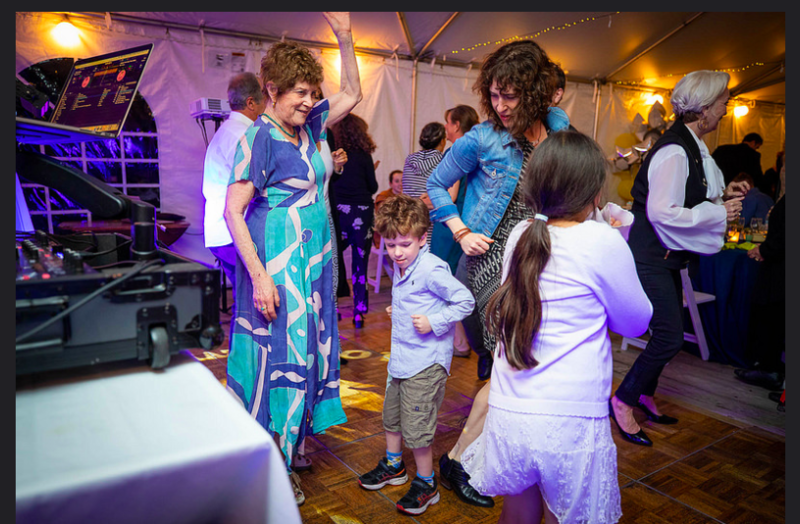 I ask on my timeline if anyone know of any DJ in the area and quite a few people mentioned you; DJ Shamar.” These words were the first step in hire DJ Shamar, L.L.C for Treely’s Bar Mitzvah, in Gloucester, MA, 01930. The date she wanted was June 9. I doubt I had that available I thought to myself, since I pretty much have almost all the Saturdays in the summer booked up. I went through the Calendar and looked just to make sure. As I checked, I noticed that I was available for that Saturday in June, but the notes said I was in the process of booking with another client. As I always tell my clients: You do not have your date secure until you paid the deposit. So technically this date was free. I relayed the message of date security to Treely’s mother, and she wasted no time and secured the spot as soon as she got off the phone. On our way to Gloucester, MA the drive was beautiful, especially coming up on the event location. One memorable sight was the ginormous wind Mill, I never seen such a beautiful landscape decorated with windmills. What is rather weird to me was that these windmills didn’t seem to disturb the beauty of the landscape. They added originality and uniqueness to the scene. This was not what I expected has I always thought that a windmill on a beautiful landscape would be an eye sore. Clearly this was not the case. As we approached the venue, I could smell the aroma of the ocean. A smell I am use to from being from Jamaica, and living next to the ocean. I figured at that moment as I was driving that the venue was going to be having ocean view. Arriving at the venue in this quaint New England town the first person I met was Treely’s dad. He was a laid back and personable guy with a great sense of humor. He just had a way of phrasing words that add humor to his tone. His presence and energy was inviting and calm, and he was easy to be around. I recall that in the moment I met Treely’s father, I thought about talking to his mother over the phone, “her presence was similar to his” I thought to myself. They were great people and it is always a plus when you have great people as clients. Treely’s friends and family was a talented group of people. While I was setting up the DJ section, one of the members of Treely’s friends and family was singing as they set up the table and decorate the eating era. She had a beautiful singing voice. Her voice was so beautiful I waited to do a sound check, because I did not want her to stop singing. 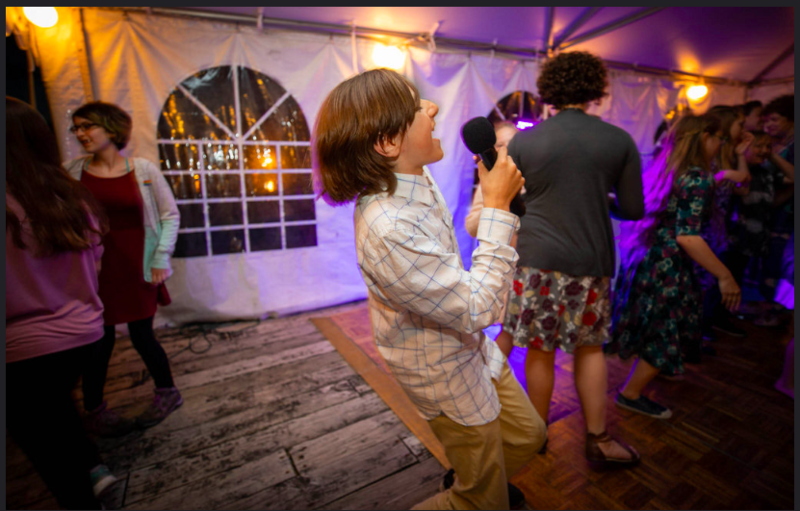 Later on into the bar mitzvah, Treely’s friends, who were all part of the school band, did a wonderful compilation of the “Hava Nagila.” It was an incredible rendition and I could see that Treely enjoyed this rendition. After all the formalities and wonderful speeches and songs It was time for dancing, and dance they did. Treely’s friends and family appreciates music from every era. I had 10-year-old kids requesting songs that 50 year olds usually requests. The kids even know the words of some of these oldies, which was impressive in itself. The kids were also great dancers who has original moves. It was fun to see the attendees enjoying themselves. The dance floor was diverse and animated and some of the songs resulted in some lip sync action, with the mic in their hands. This was awesome to watch. The man of the day, Treely himself seemed to be having a good time with his friend. He danced now and again, and socialized with his friend now and again. He was a great host, not seem to leaving anyone by themselves. Treely’s parents were also welcoming and accommodating and I could see them making sure that all their guess is in need of nothing. For the last couple hours, the dancefloor was full and people of all ages where having fun. Treely’s bar mitzvah in Gloucester, MA, 01930 was phenomenal. People had a lot of fun, and at the end of the event, I thought this event was a lot of fun. At the end of the party some of the attendees said to me, “I have not dance this much in years, thank you for a wonderful night.” I was pleased with this event and I thoroughly enjoyed the night. Treely’s Bar Mitzvah was a successful event. Congratulations on your Bar Mitzvah Treely!! 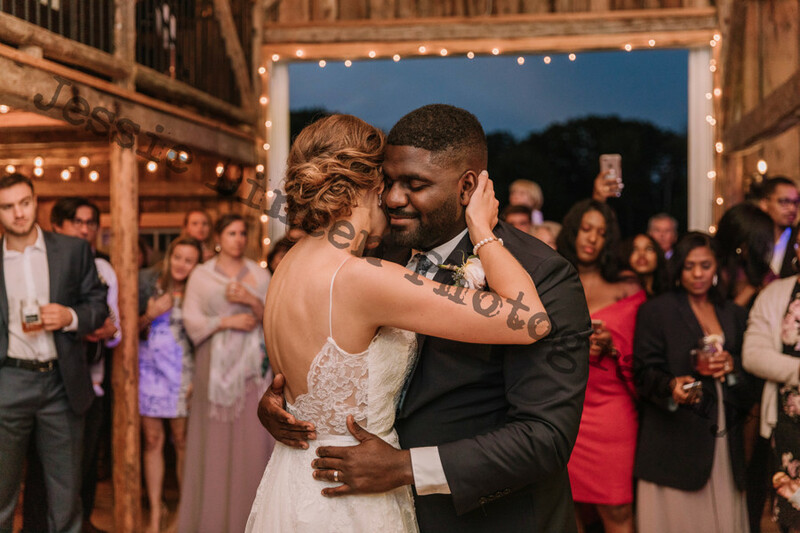 September 15th, 2018, DJ Shamar Djed at Kerri Lee and Matt’s delightful wedding. When I first met with Kerri Lee and Matt, I liked them immediately their energy was calm, relaxed, but fun. Matt presented a sterner but laid back demeanor, while Kerri Lee presents a sweet, fun, and welcoming manner. I thought they made an excellent match. Similar to the other couple that I have consultations with Kerri Lee and Matt were a perfect match. 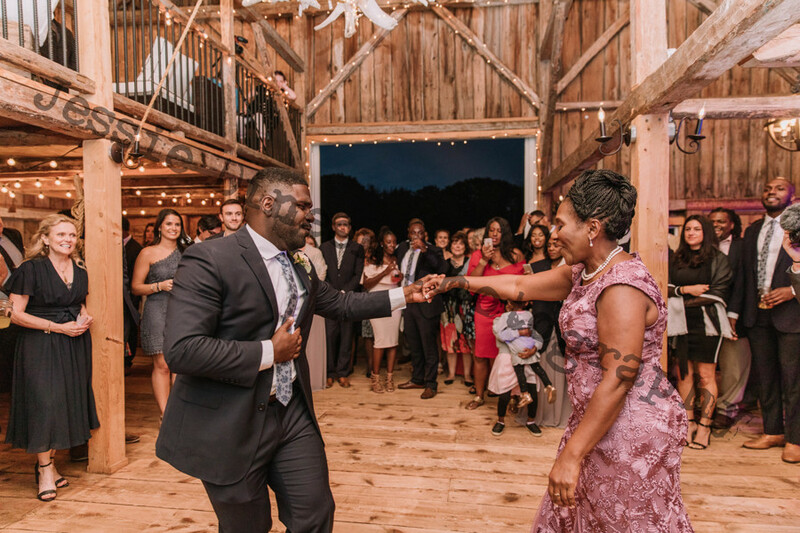 Just like I have mentioned in previous blog entries: “Couples that land me as the DJ for their wedding is usually a perfect match for each other.” I say this to mean that, the energy of DJ Shamar, L.L.C attracts the long-lasting love-birds. The ones that are in it for the long haul. Kerri Lee and Matt look as if they were in it for the long haul. I remembered that Kerri Lee and Matt’s consultation was fun. We had a wonderful time talking and laughing while getting business done. The music preference of this couple was more of a soft country before the beginning of the ceremony as the guess arrived. Kerri Lee was more into laid back and smooth country music especially as the crowd walks in before the start of the ceremony. 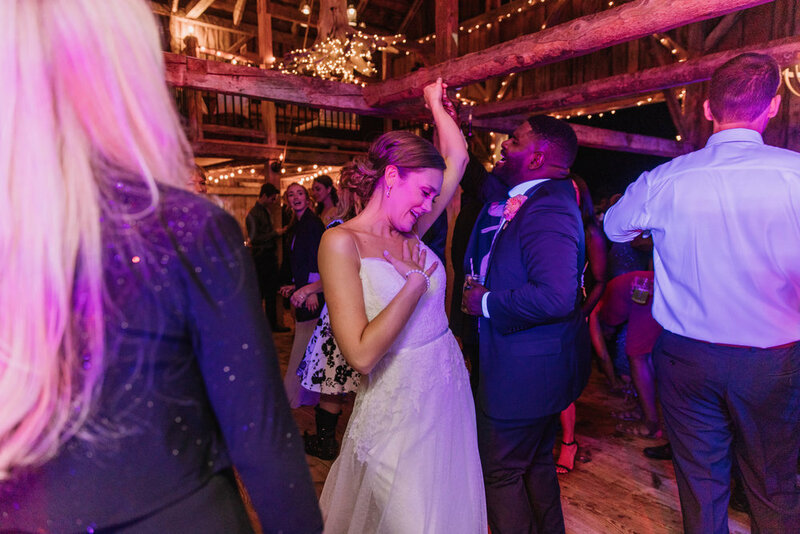 She requested some great classic country music that was suitable for the occasion, so she did not need a lot of redirection on the type of music that she was or has chosen for the pre and post-ceremony celebration. For the dinner and reception music Kerri Lee and Matt, like more of a variety, even though soft cool country was still the order of the day. There were still some jazz and blues that made the request list during the dinner. From the dinner and the speeches, we transitioned into the reception. Like every other great and happening reception, this reception was unique. DJ Shamar started the reception with Frank Sinatra songs and waltz old school hits. 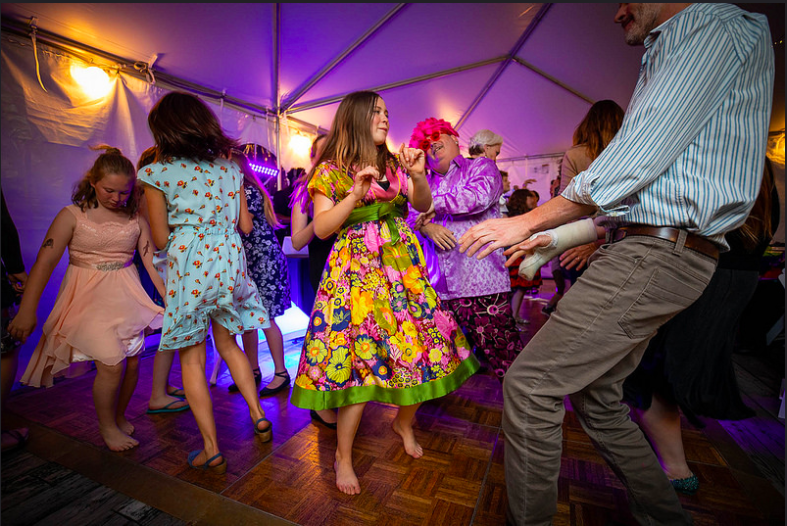 All the older folks and the younger folks who enjoy the classics were out on the dance floor, moving to the serene and mellow sound of the old school hits. Slowly, DJ Shamar mixed some rock and popular hits in the music selection. The floor became more populated with people of all different ages and size, little by little as the night progressed. The people sitting down was soon off their feet, and everyone was having a grand and spectacular time. 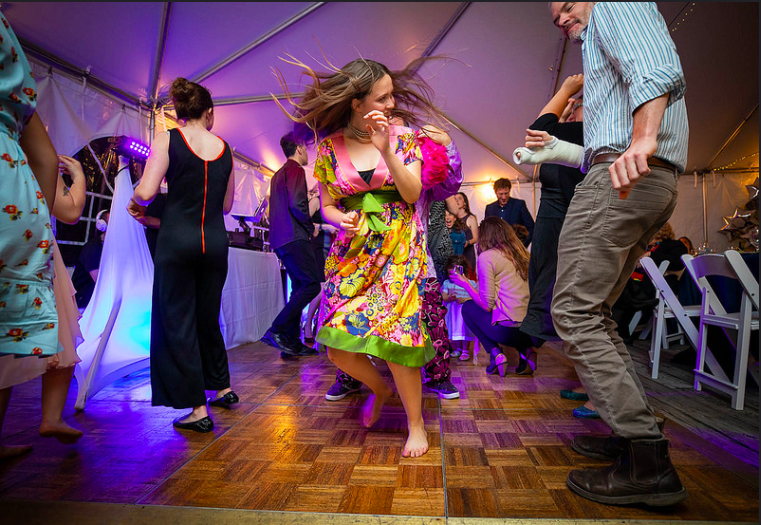 The dance floor at the Barn at Moody Mountain Farm has a different style to it. It is somewhat sectioned off, and so different people can occupy the different areas of the dance floor. In every wedding, there is something that is distinctive and memorable. It was no different with Matt and Kerri Lee’s wedding. The distinctiveness of this wedding was a pleasure to observe. However, because of this, I am happy that our default music at every wedding is always the clean version of the music (unless the couple requires otherwise), and these are the times when I am glad that this is one of the company’s rules. 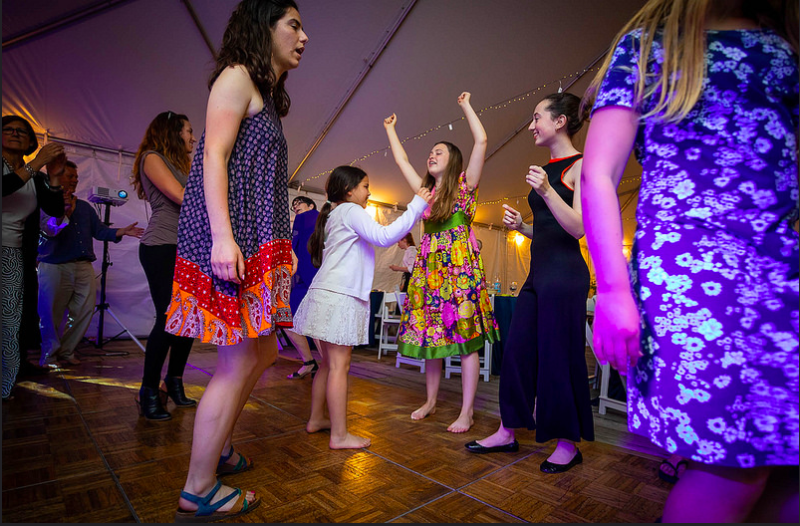 The most popular dancers on the dancefloor were kids, yes kids, ranging from the ages of 2 years of age to 18 years of age. The dancing at Kerri and Matt's wedding was so much fun to watch. Kids were dancing to jazz, waltzing, dancing to country, dancing to reggae, dancing to hip-hop, and dancing to pop, they were doing it all. The wedding guests were enjoying this to the maximum, making the energy of the party one of fun and enjoyment. At the end of the night, the dancefloor consisted of happy people from ages 2 to 67. It was a wedding for every generation. Thank you for having me at your amazing event, Kerri Lee and Matt. Kids dancing with the bride. 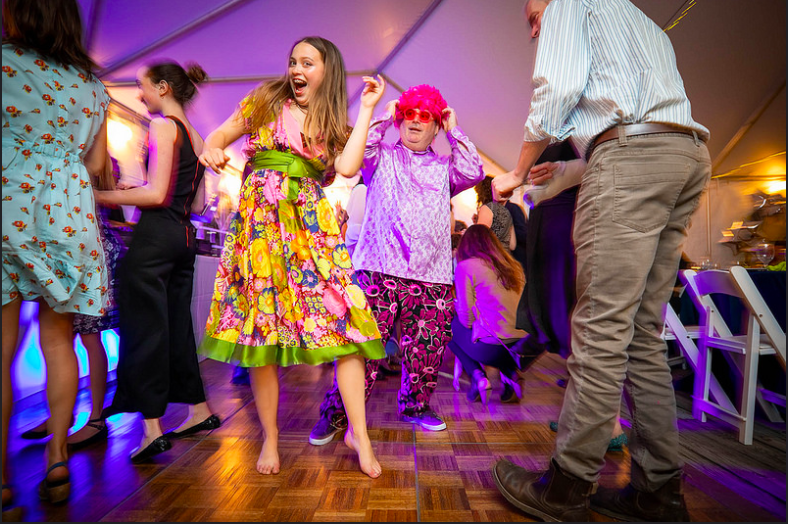 You are never too little to dance. One of the sweetest bride ever. The kids loves her. 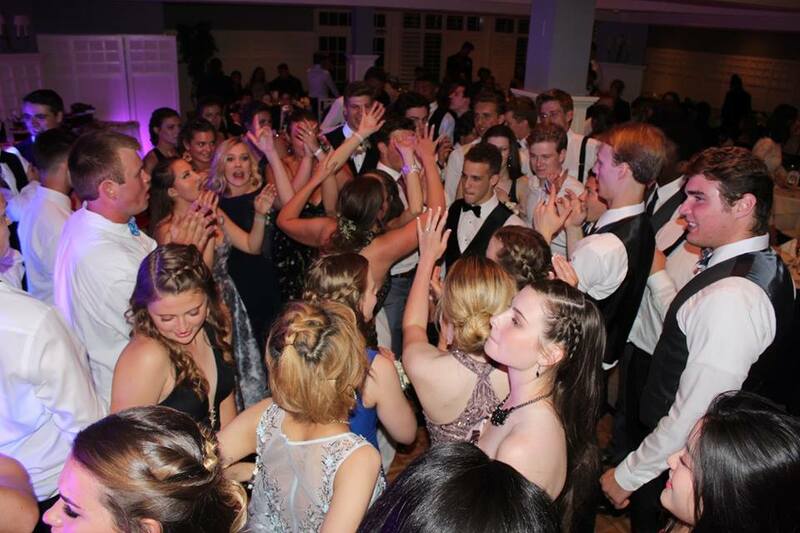 The featured gig for today is the Brewster Academy 2018 Prom. 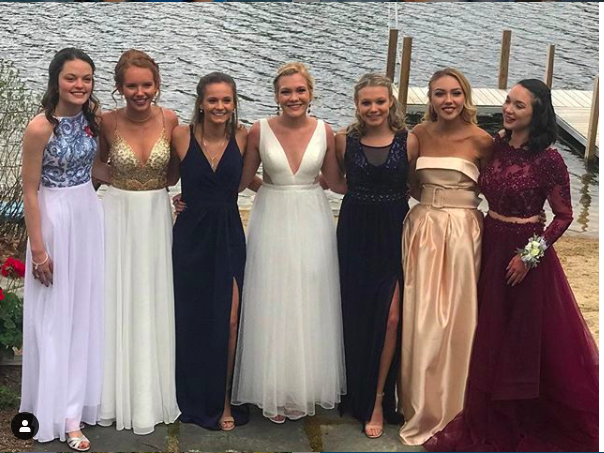 The Brewster 2018 prom was held at the Bald Peak Colony Club in Moultonborough, New Hampshire, with the physical address at 180 Bald Peak Drive, Melvin Village, NH 03850. The Bald Peak Colony Club is a prim and proper well-groomed country club. The Brewster Academy Prom has been held at this country club for the past few years. The environment of this country club matches the personality of the Brewster Academy student. As the attendees strolled into the banquet hall in their beautiful attire, with boys wearing jacket suits and tuxedo and girls wearing beautiful dresses the sweet calm music serenaded the attendees with soothing music. Some student peered up with their dates as they walked in, others were laxer, having their partner or Date behind them or in front of them. Not walking side by side with your date is a weird activity that teenagers do that I do not understand, they will sometimes attend prom with someone and not spend any time with that person. Sometimes they don’t even sit around the same super table. The only activity that they would most likely do together takes pictures together at the promenade. The sound of sweat melodious music permeates the dinner hall, setting the mood of relaxation and elegance. At the beginning of the prom when the attendees are arriving, the music should be soft and at the volume where the attendees could converse. As a DJ you have to watch the environment and make sure you adjust your music to this environment and vibe. At the beginning of the prom DJ Shamar soft and tender music encourages conversation between the tables. Attendees laughed and talked; they nod their heads to the rhythm of the music that DJ Shamar played. It was evident that they were enjoying the music to the fullest even though it was soft and gentle music. DJ Shamar uplighting added some sophistication to the environment of the Bald Peak Country Club banquet hall. The purple and soft pink add some warmth to the atmosphere. One of the attendees said, “wow, the color is beautiful, I like the pink with the purple.” The vibe and environment in the banquet hall were perfect for the beginning of a prom. 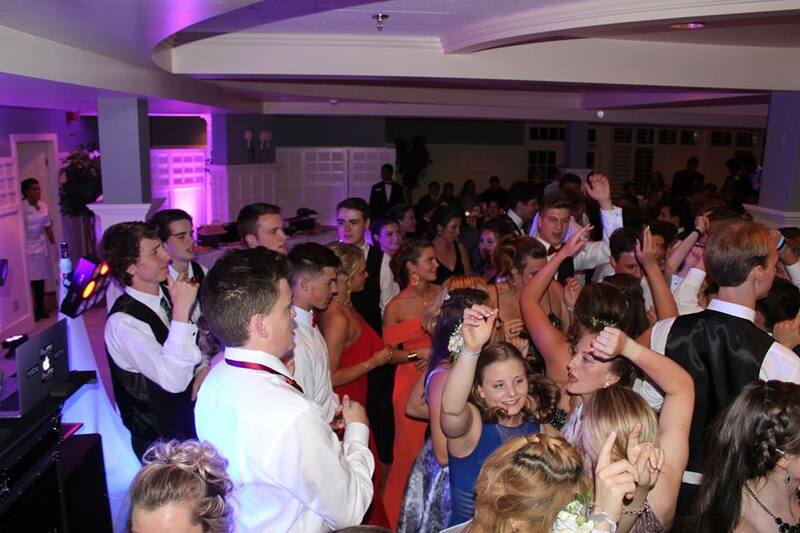 Thirty to forty minutes in the prom the first toast was made by the 2018 class Prefect Dexter Hanson who made a toast to the great and united year that the class of 2018 enjoyed. After a couple more announcements they announce the Prom King and Queen. 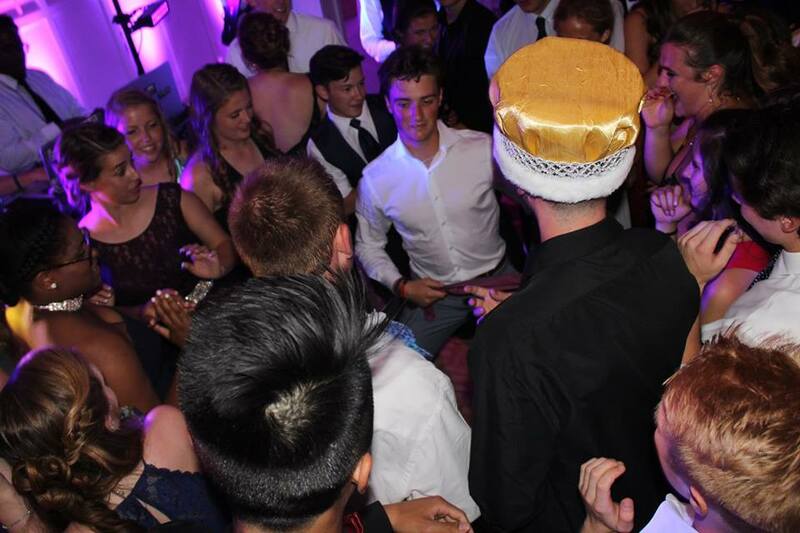 The Prom Queen, Brooke Samora was announced with the loud cheers of the prom attendees, it is evident that she is a favorite student among her peers. The next was the Prom King, as the name Sal Fabio came from the lips of the announcers, he received just as loud or even louder cheers as the Prom Queen. As the Prom King and the Prom Queen danced, it was one of those awkward moments when you are dancing with someone that you don’t want to dance with, but you like the person as a friend or a colleague. To make a long story short, it was an awkward dance, but both of them were having fun doing it. It was a rather humorous and liberating first dance. 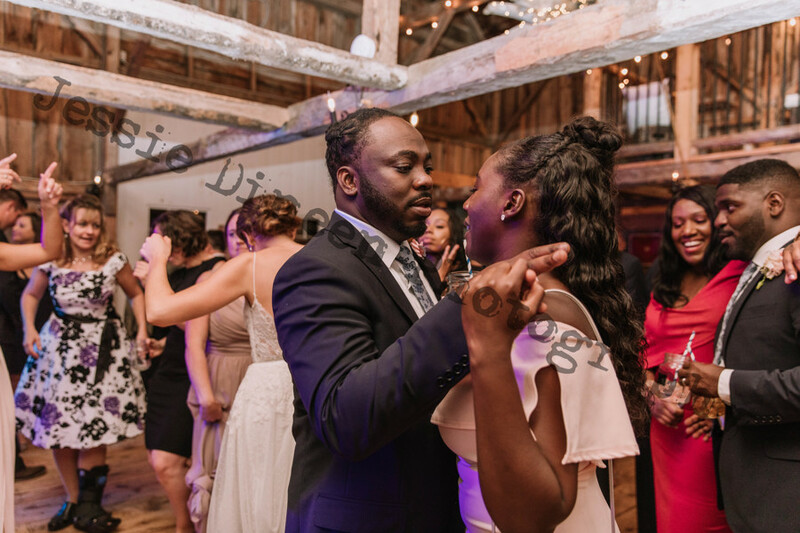 After the humorous and fun King and Queen Dance, DJ Shamar transitioned into a tune that had 90 percent of the banquet hall on the dancefloor. Now the scene was set, and it was DJ Shamar time to do what he does best: Make People Dance! I could see the dancefloor getting more and more active. 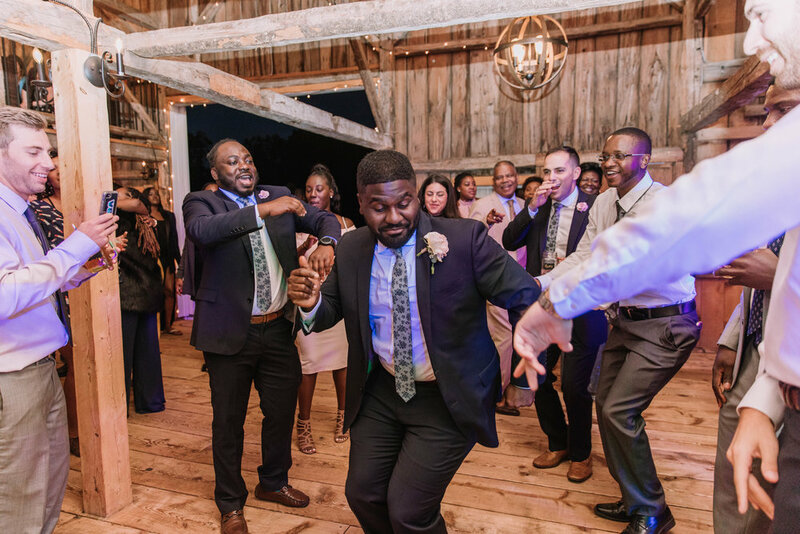 By the time DJ Shamar played the tenth song the dancefloor became filled with dancers, and everyone was jumping and dancing to the great tunes and mixes of the DJ. 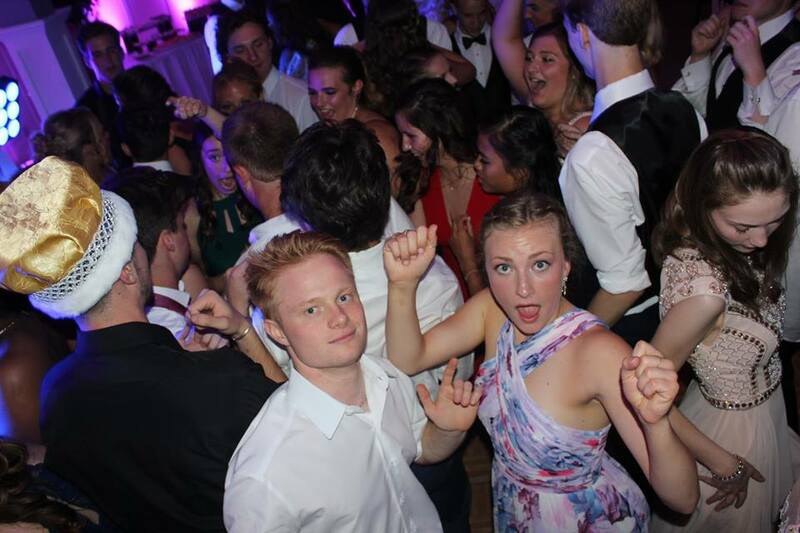 One memorable and wild moment of the prom was when some of the attendees on the dancefloor started lifted one of their friends above their heads as they jumped and threw him up with joy and happiness. It was a marvelous and enjoyable time at Ball Peak Colony Club with Brewster Academy. 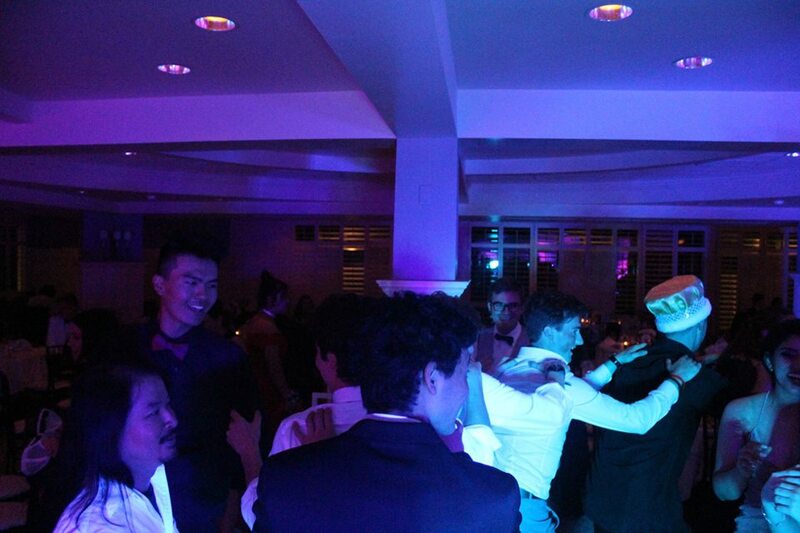 The attendees danced and danced and I could tell that this was another memorable prom for the books. The class of 2018 left with a smile on their face. 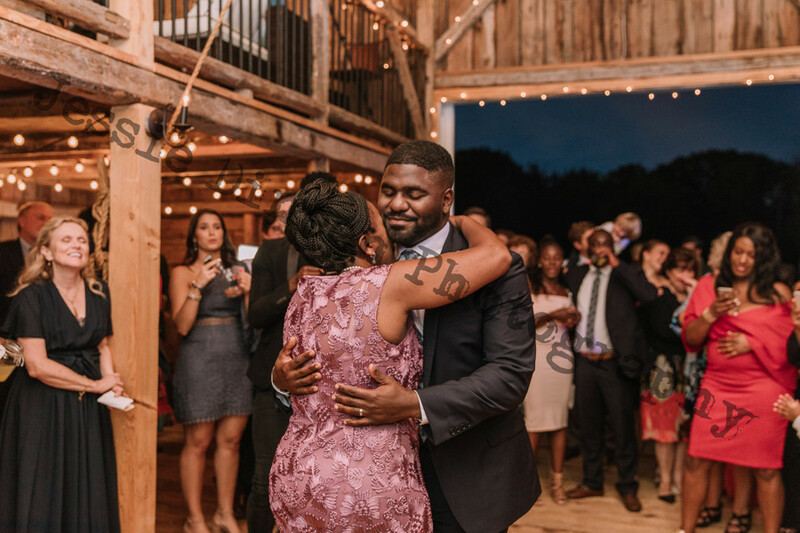 They danced the night away and the last song DJ Shamar played was the class of 2018 class song, “Country Road” as the student hugged in a circle and sang to this emotional song. As they sang, you could see that they got closer at the moment and created a bond that happened at many proms. Brewster Academy 2018 Prom at Bald Peak was a great prom, with many great and memorable moments and this will surely stay in the memory of the class of 2018. We create memories through the good times we have, and through the good times, memories become unforgettable. As I penned this article, prom season is a few months away. Yes, the yearning to write this article is because prom season is drawing near which means spring is near as well. I am already sick of this January cold, frigid and unforgivable winter temperatures. According to the weather report on my phone, it feels like -16 degrees Fahrenheit outside now. 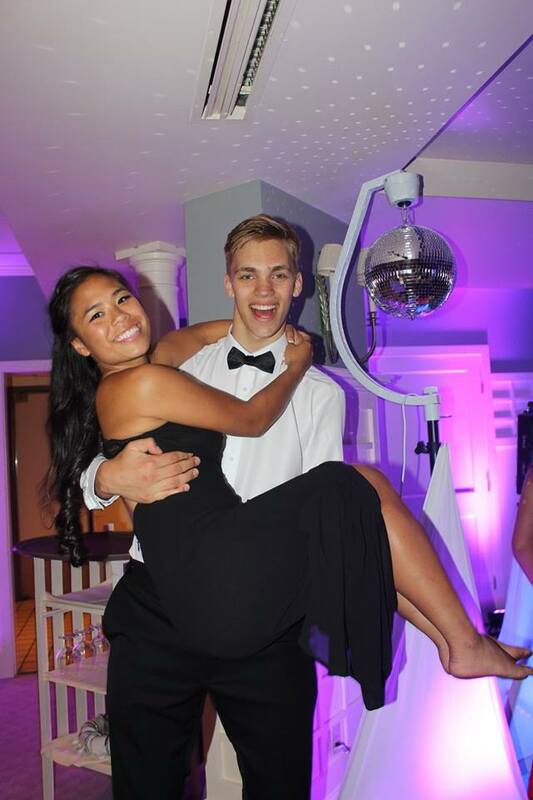 Despite this temperature outside, I will continue to reminisce about some of the past prom seasons, which means pass spring season, and the upcoming prom season, which means forthcoming spring season. By this time in January, many high schools have already booked their prom date with DJ Shamar for the 2019 Prom season. On the other hand, I have had high schools that had their Proms on a Wednesday or even a Tuesday or Monday, and they booked with us a month out. Most Proms are on Saturdays. So, you never know, I might still be available, try your luck, it never hurts, shoot us an email djshamar3@gmail.com or give us a call at 603-986-5030. 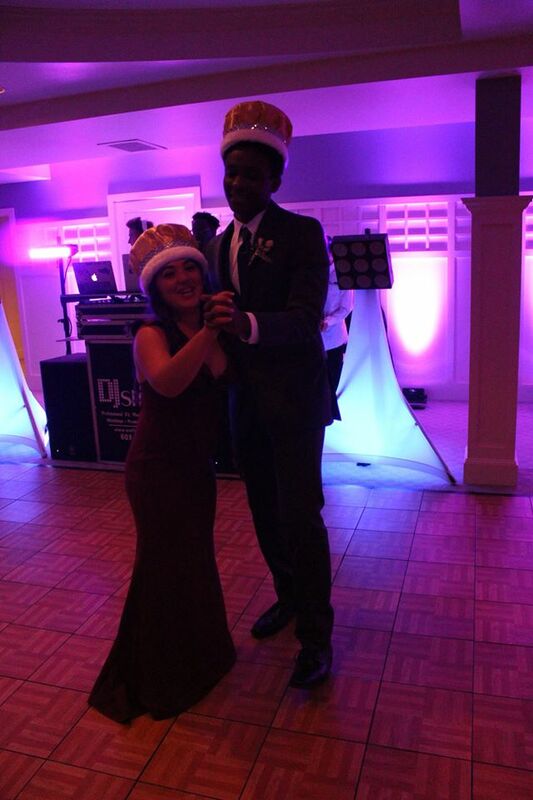 As I sit here, I will go over some reasons that DJ Shamar is popular in the prom scene. There are three reasons why High Schools continue to book DJ Shamar year after year for their High School Senior Prom. I will go over three of the most popular reasons that high school seniors love to book DJ Shamar for their Prom. Please Note that the acquired information is from high school seniors who agreed to do a quick interview about DJ Shamar's performance at their Senior Prom. Let’s start with the number three reason why DJ Shamar is a highly effective, fun, and regularly requested DJ for High School Proms in the New England states of New Hampshire (NH), Maine (ME), Vermont (VT), and Massachusetts (MA): The number three reason is DJ Shamar is approachable and flexibility. 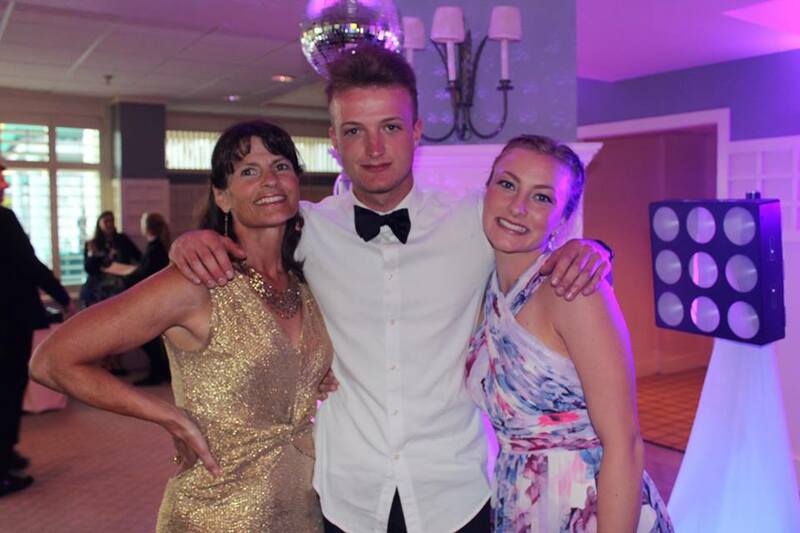 Most prom attendees mention that DJ Shamar is easy to approach and talked to, one prom goer says that DJ Shamar’s: “energy is inviting and welcoming, and when he went up to him to request a couple of songs, DJ Shamar was courteous and made sure that he got the names of the songs." The customer continued: "around ten minutes later he did a sick mix with the songs I requested; the place went crazy. People loved it so much. I am glad he was flexible and played my request.” DJ Shamar has been known to adjust to the type of audience he is playing for, at proms he is known for mixing the newest hits with the classics. His approachability and flexibility allows the audiences at Proms to communicate with him, and in turn making the party more tailored to the audience. The number two reason why DJ Shamar is in such high demand and is so popular with proms is that of his professionalism. Many of the prom attendees who interviewed, talked about the professionalism of DJ Shamar. One prom attendee mentions: “DJ Shamar set up is beautiful and neat. His dancefloor lighting is fantastic, and my friends and I took so many pictures on the dancefloor because of how great we looked under the lights. It was such a great night, Thank You, DJ Shamar! !” We at DJ Shamar pride ourselves in our presentation, and so we have the various set up for different occasions. Our professionalism and elegant lighting is an integral part of our services. Customers enjoy and admire DJ Shamar exquisite set-up. And now for the number one reason why DJ Shamar is so popular and is in such high demand for High School Proms in New England states like New Hampshire (NH), Maine (ME), Vermont (VT), and Massachusetts (MA), is that he provides an absolute fun and unforgettable environment. On a side note, DJ Shamar tend to stick to these new England states since they are in our 5hour one-way range travel maximum. These states are also filled with High Schools: from boarding schools to day schools to public high schools. These states are the foundation of the educational hub in the United States of America. Now back to the reasons: Almost everyone interviewed at the different proms in New England states like New Hampshire(NH) Maine (ME), Vermont (VT), and Massachusetts (MA) said that DJ Shamar selection of music and his presence was fun and memorable. The tradition of prom is still practiced all over the United States. However, this practice is even more vibrant and celebrated in the New England States. Prom is one of the milestones that many teenagers and parents look forward to; it is a rite of passage, a cross over into adulthood, a ceremony celebrating the teen's entry into independence by an institution that molds their character and gives them their moral compass to navigate through life. DJ Shamar will be there to celebrate with you; we will be there to make you dance and be merry as you enter the doors of adulthood and independence. As we continue the interview, and excited and please prom attendees give us their feedback one such interviewee said, “DJ Shamar brought the house down. People enjoyed themselves to the point where almost everyone was still on the dancefloor at the end of the night. Before we started hiring DJ Shamar, usually, most of us will be at home before the end of the prom. DJ Shamar has done a great job keeping us entertained for the entire time. Great Work DJ Shamar.” At DJ Shamar, we pride ourselves in entertaining and bringing fun to our audiences. We pride ourselves in making people dance. 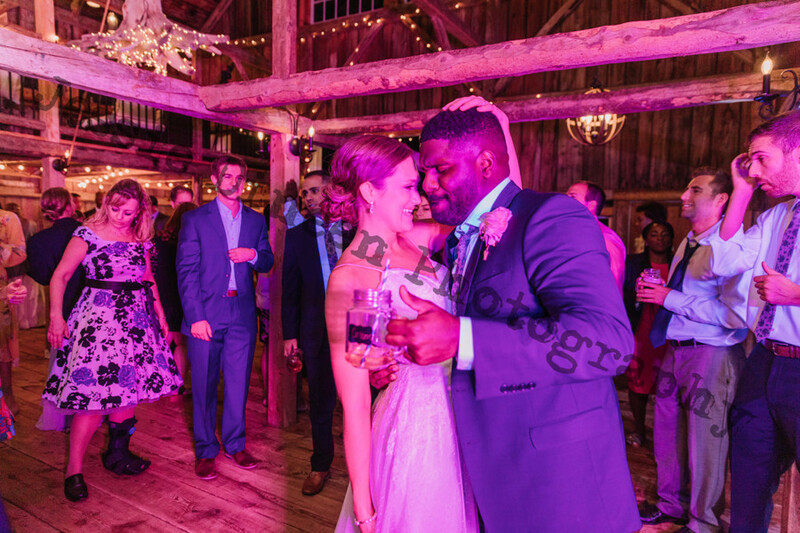 A Professional and experience DJ, DJ Shamar as Djed many weddings across New England. For Instance, DJ Shamar has Dj weddings in NH, New Hampshire, he has DJ weddings in Me, Maine, he has DJ weddings in Vt, Vermont. 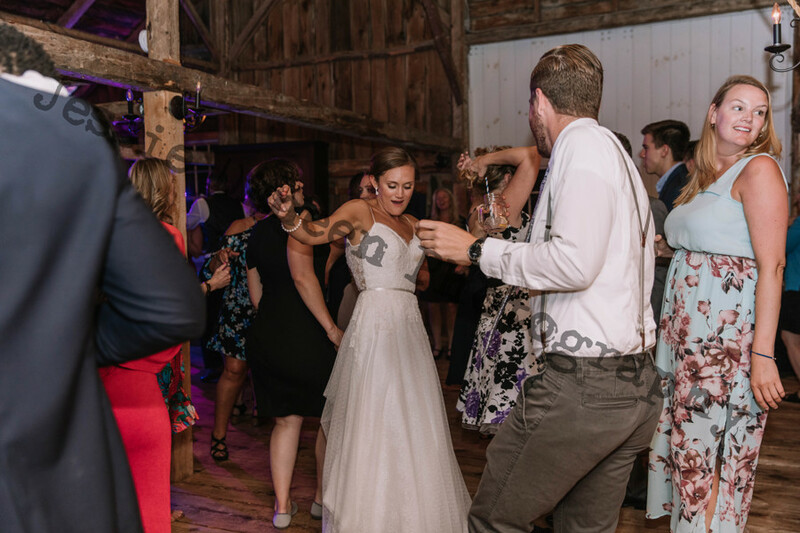 This particular wedding in the video was located at the beautiful and elegant Live Well Farm at 1583 Harpswell Neck Road, Harpswell, Maine 04079. Picking the right DJ or Band is important and for your wedding. I think everyone can agree on this consensus. Next to picking the right DJ or band is picking the right venue. Jenn and Manny nailed this aspect of their wedding. The energy at the wedding was spectacular, it matches and brought out the personality of the couple in the right amount of dosage. The word that comes to mind when I think about the venue with the presence of Manny and Jenn is balance. At the start of the wedding I like to get queue in to the audience’s energy. The atmosphere was friendly and jovial, but I knew for this audience I would need to keep the liveliness up and maintained it for the few hours of dancing. Once, the couple did their dancing like I predicted the dancefloor became the main part of the wedding for the rest of the night. The music selection was a sweat blend of Haitian music, hip hop, R and B, and dancehall. It seems like all the guests were great dancers. They were all just moving freely with the music and did care what anyone else though about them. By the way, these are my type of dancers, that I enjoy when I DJ weddings or any other event. It is as if they themselves become part of the music. They become the music. 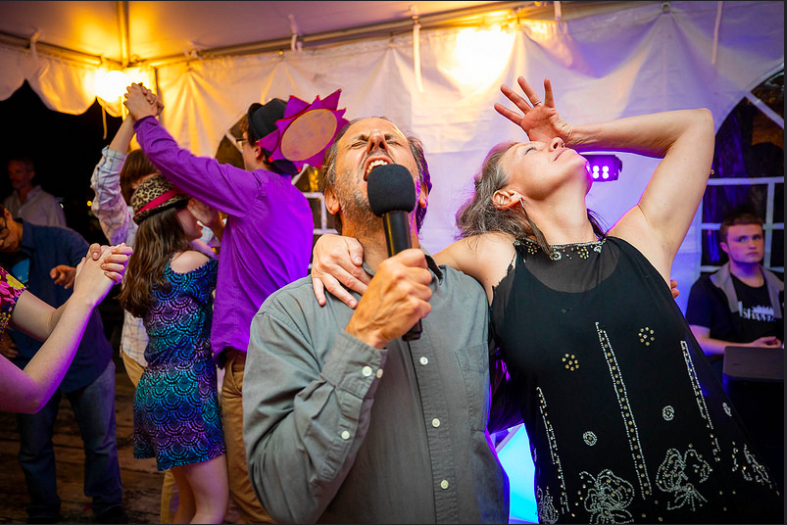 One of the dancefloor highlights when DJing this Maine wedding was the Mother son dance and the father daughter. Manny and Jenn picked the perfect song or songs for these dances, you could see the relation with their parents come out during these dances. Another dancefloor highlight of the evening was Manny showing off his dancing skills to the pleasure and cheerfulness of the guests. I honest was surprise, Manny is a great dancer. Nice Job Manny!! All in all, this was an extremely magnificent and memorable wedding and it was wonderful to see two great people tied the knot. Manny and Jenn you guys are great. Thank you for giving me the opportunity to play at such a perfect wedding.